If anyone has a chance to pick up a copy of the Press of Atlantic City, do so, or go to their website. Writer Daniel Walsh chronicles the booming theatre scene in Cumberland County. The South Jersey Rialto was even mentioned!!!! How exciting! Click on the link below to be re-directed to the great story! I know I said that the SJR would take a quick break, but I take that back! I wanted to let everyone know that I'm having a grand ole' time studying in the Italian language and History of Cinema in Turin, Italy. But over in South Jersey, there is plenty of fun to be part of! CHICKEN BBQ - Levoy Theatre (Millville NJ). June 6th. Noon - 6pm. Tickets are $10 and offer a great meal and your support of the restoration of the historic Levoy Theatre, re-opening in 2010 with the Off Broad Street Players as the resident theatre company. Tickets are available on their website, or by calling Lauren Van Embden at (856) 327-5656. Additional ticket hotspots located on High Street in Millville can be found at Bogart's Bookstore, IncredibleBulk, Philip Van Embden Law Offices (9th & Pine) and Steelman Photographics. SPEAKING of the Levoy! It should be mentioned that they plan on beginning construction to the inside of the theatre this month! 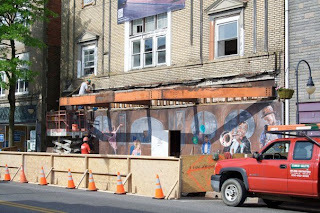 Construction began in May to the facade of the theatre, beginning with the removal of the marquee. How EXCITING!!!! THE ODD COUPLE - Sketch Club Players. June 5, 6, 11, 12, 13 at 8pm. June 7 and 14 at 2pm. Tickets are $15 Adults, $13 for Seniors and can be purchased online or by calling (856) 848-8089. This blog celebrates the theatre & theaters in southern New Jersey. 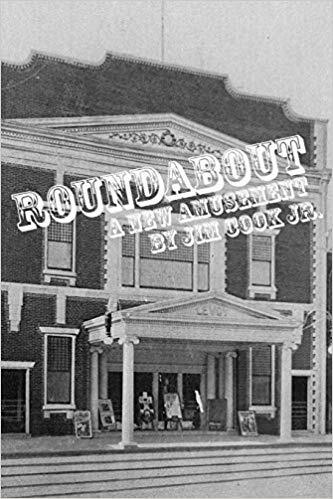 Jim Cook Jr. is a longtime veteran of South Jersey theatre as an actor and playwright. He is also a United States Army veteran and recently moved back to the United States from a 3.5-year tour of duty in the Republic of Korea (south). Cook is a former news reporter/theater critic for the South Jersey Times. He resides in Maryland. This play I wrote was performed for the grand opening gala of the Levoy Theatre. Includes play, photos, and a history of the theater. $10 on Amazon. 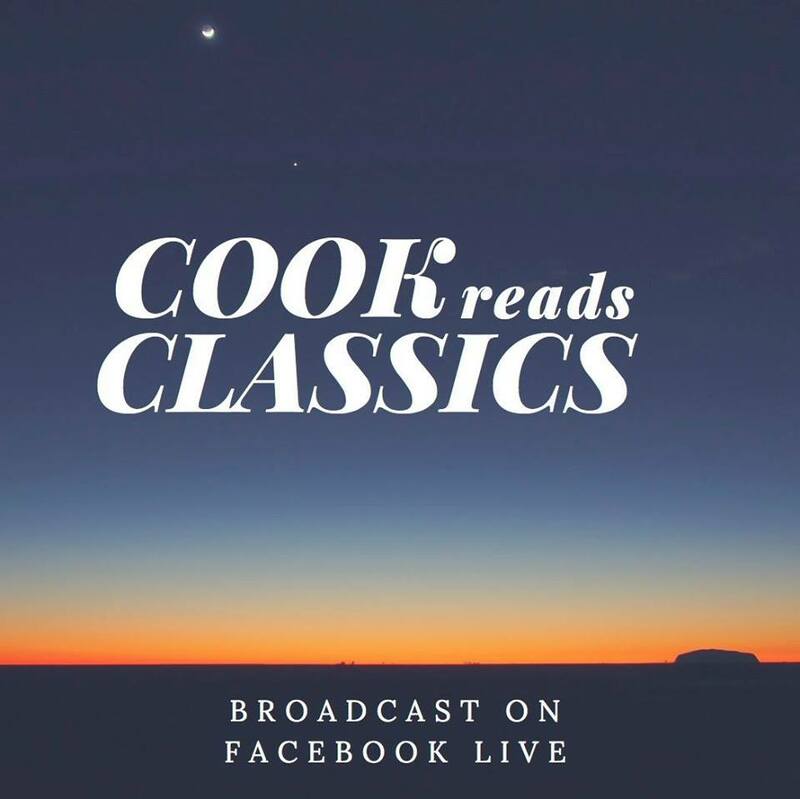 I host a Facebook Live broadcast show where I recite classic novels. We're currently on Mary Shelly's FRANKENSTEIN, which I started on Halloween night. Click on the image to check it out. The South Jersey Rialto 2009 - 2018. Simple theme. Powered by Blogger.